Mozilla announced today a new five-year contract with Yahoo where Yahoo will be the default search engine in the US. That means when you open up your browser, you won’t see Google search anymore. Firefox users will see a “new enhanced Yahoo Search experience” beginning in December. It will feature a “clean, modern interface” and will support Do Not Track, Mozilla says. 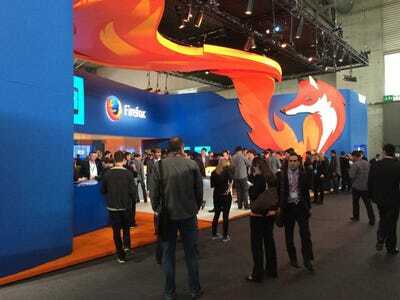 Firefox is the third-most popular web browser, with between 14% and 19% market share, depending who’s talking. According to Mozilla, 100 billion searches are conducted per year using Firefox. Yahoo has been making a big push to improve its search product. In April, Re/code reported that Yahoo had a secret plan to get Apple to dump Google as the default search in its iOS devices and use Yahoo instead. Yahoo search is powered by Microsoft Bing. The financial details of the deal weren’t disclosed. According to AllThingsD, the most recent renewal of the deal it had with Google in 2011 was $US300 million per year for three years. In 2012, 97.9% of Mozilla’s revenue came through partnerships with search engins, according to Infoworld.